Amir Hekmati, the former U.S. Marine and one-time game developer, has been freed from an Iranian prison after more than four years in captivity, according to an Iranian news report. The Iranian-American was serving a 10-year prison term, reduced from a death sentence, related to charges of espionage against Iran. His family and the U.S. government had long denied that he was a spy and have repeatedly pleaded for his release. 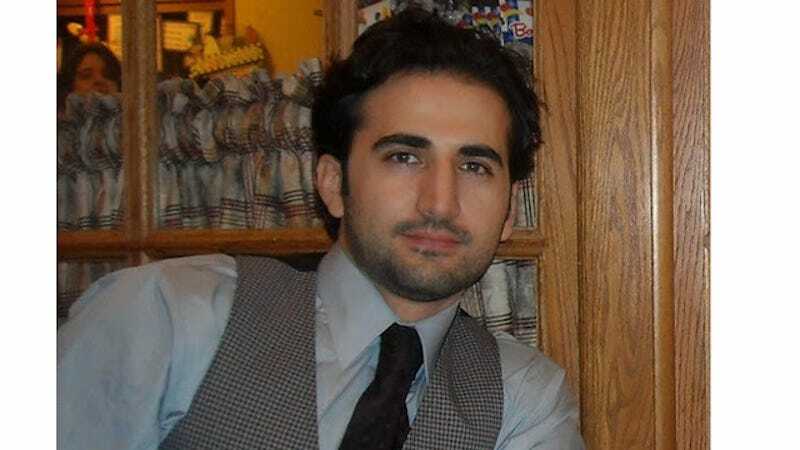 Hekmati had worked as a consultant for the video game company Kuma Reality Games, a New York based outfit that specialized in making playable versions of real military events. In a December 2011 “confession” aired on Iranian state TV, Hekmati said that Kuma was acting as a propaganda wing of the U.S. government. He had been arrested by Iranian authorities in August of that year. His family maintained that he’d been in Iran to visit his grandparents. According to an online U.S. government filing, back in 2009 Hekmati did indeed work for Kuma, which received a $96,000 grant from the U.S. Department of Defense for Hekmati to help develop a language-learning and retention program for soldiers. There was nothing spy-like or nefarious in the description of the work. An Iranian court had originally sentenced Hekmati to death but that sentence was overturned in 2012. He was subsequently sentenced to 10 years in prison. According to the Iranian news account, Hekmati is one of four Iranian-Americans being released from prison in Iran today in exchange for six imprisoned Iranian-Americans held for sanctions-related issues. The freed Americans are set to include Washington Post reporter Jason Rezaian, who Iran had accused of being a spy despite vehement denials from himself and his employer. Today is the first day of implementation of the multi-national nuclear deal brokered in 2015 to lift global economic sanctions on Iran in exchange for the prevention of an Iranian nuclear weapons program.